Sivakarthikeyan is currently working in SK14 directed by R.Ravikumar and Hero directed by P.S.Mithran. Recently, Sun Pictures announced a film with Sivakarthikeyan directed by Pandiraj. Sivakarthikeyan made his debut with Marina directed by Pandiraj and also worked with him in Kedi Billa Killadi Ranga. This is their third film together. 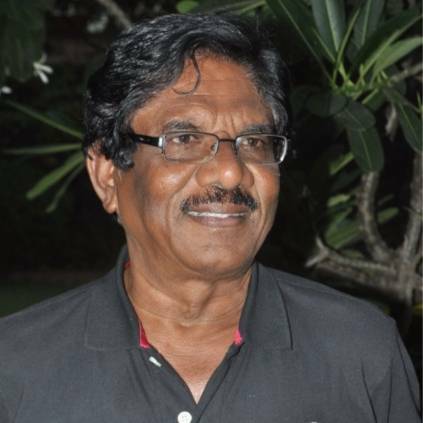 Sources have now confirmed that director Bharathiraja has now been roped in to play an important role in the film. We have already reported that Aishwarya Rajesh is also part of the cast. More details on cast and crew are awaited. Sivakarthikeyan is gearing up for the release of Mr.Local directed by M.Rajesh and produced by Studio Green which also stars Nayanthara. Mr.Local will release in theatres worldwide on May 1. People looking for online information on Aishwarya Rajesh, Bharathiraja, Mr.Local, Pandiraj, Sivakarthikeyan, Sun pictures will find this news story useful.